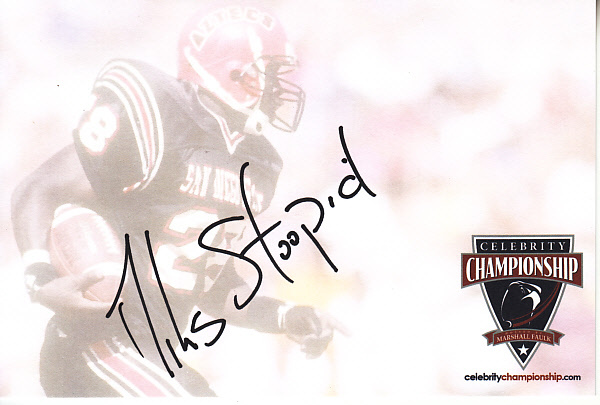 Marshall Faulk Celebrity Championship 4x6 inch signature card autographed in black marker by Slightly Stoopid co-founder Miles Doughty and dated 2015. Obtained in person, with certificate of authenticity from AutographsForSale.com. ONLY ONE LEFT.